20 March: ‘Curragh Incident’: Officers of the 3rd Cavalry Brigade state that they would prefer dismissal from the army to being ordered to enforce Home Rule in Ulster. 24–25 April: Substantial quantities of weapons intended for the UVF are landed at Larne. 25 May: Home Rule bill passes through the House of Commons for a third time. 10 June: John Redmond's demand that the Irish Party nominate representatives to the provisional committee of the Irish Volunteers is accepted, giving Redmond and the Irish Party control of Irish Volunteers. 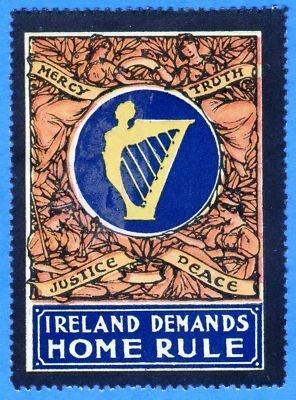 23 June: Government of Ireland (Amendment) Bill presented to House of Lords to provide for temporary exclusion of parts of Ulster from Home Rule. 28 June: Assassination of Archduke Franz Ferdinand and his wife in Sarajevo. 8 July: Government of Ireland (Amendment) Bill altered in House of Lords to permit permanent exclusion of parts of Ulster. 26 July: Weapons intended for the Irish Volunteers are landed from the Asgard at Howth, Co. Dublin. Four killed and 30 wounded as British soldiers open fire on a crowd at Bachelor’s Walk in Dublin. 3 August: German declares war against France; John Redmond pledges Irish support for any war and suggests that the Irish Volunteers and UVF should take responsibility for defence of Ireland. 4 August: German invasion of Belgium; UK declares war. 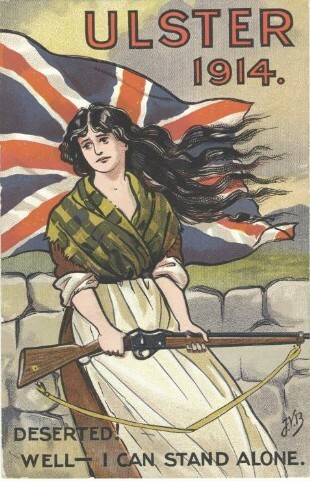 8 August: Defence of the Realm Act, 1914. 9 September: IRB and others meet in Dublin and resolve to use the European war as an opportunity to carry out an insurrection; meeting includes all seven signatories of the eventual ‘Proclamation’ used in the 1916 Rising. 18 September: Government of Ireland Act, 1914, is suspended. 20 September: John Redmond, in a speech at Woodenbridge, Co. Wicklow, says that Irish Volunteers should enlist ‘in defence of right, of freedom, of religion in this war’. 24 September: Redmond’s leadership of Irish Volunteers repudiated by members of original committee, including Eoin MacNeill. 25–26 September: Redmond and Prime Minister Asquith address recruiting meeting in Dublin’s Mansion House. See the timeline on the Decade of Commemorations website.